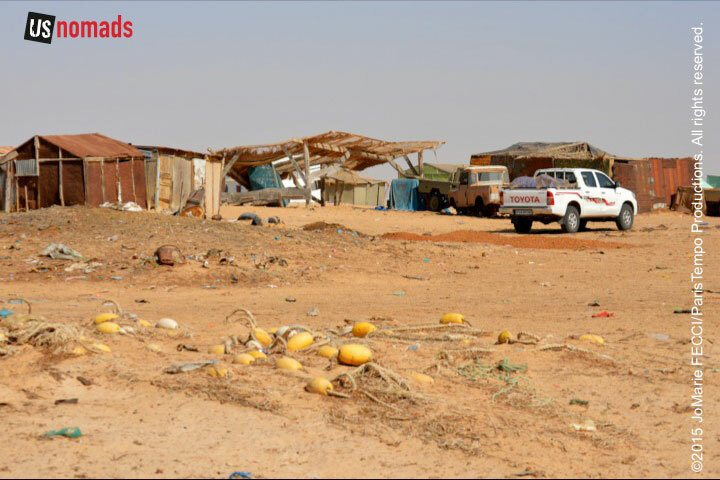 In preparation for a longer upcoming trans-Saharan journey we conducted a scouting trip in Mauritania during January 2015. 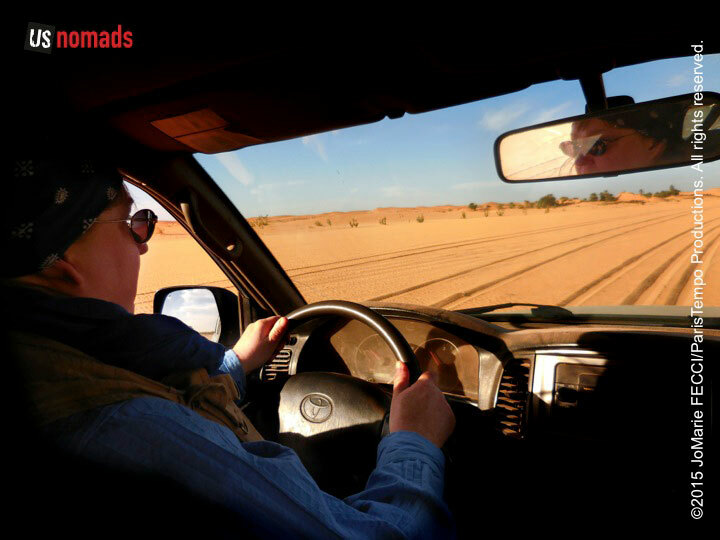 We spent roughly two weeks traversing 1,400 miles, mostly off-road, in a loop from the capital Nouakchott north along the coast to the border crossing near Nouadhibou then east to Choum and southeast via Chinguetti and Ouadane into the Eye of the Sahara (Geulb er Richat) and back around south west to Maaden through the White Valley to Azoueiga then Akjout and back to Nouakchott. The primary goal of this mission was to assess terrain, driving conditions, logistical concerns and approximate timeframes for a future expedition. Leaving Nouakchott we pass through a series of checkpoints manned by a variety of security forces. Within the city limits the checkpoints are maintained by the Police, while on the highway beyond they belong to the Gendarmerie, and as we travel further north and east we will encounter the military. Photography or filming is strictly prohibited around the checkpoints, but otherwise they are not particularly alarming or complicated to navigate. They just make exiting the urban area relatively slow because we have to stop at each control to hand in our “fiche.” “Fiche” is actually the french word for a piece of paper, but here it refers to a document that has the identity information of each of the occupants of the vehicle as well as the vehicle information. It also states our itinerary and has official looking stamps, though it is something we just prepared ourselves in advance and printed out in mass quantity. Having a “fiche” makes the checkpoint process a little quicker. Without one, we would have to stop and give in all our documents then wait while the security forces write down our information. The frequency of checkpoints declined as we got further from the city. Beyond the sprawl of Nouakchott the desert is flat and empty with nothing on the horizon. The traditional route from Nouakchott to Nouadhibou, prior to the completion of the tar road, was along the beach during low tide, and some travelers still use this route but we had chosen the quicker paved option. 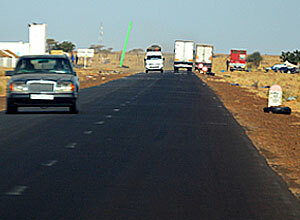 The N2 is in good condition and wide enough for fast moving two-way traffic and passing with ease. 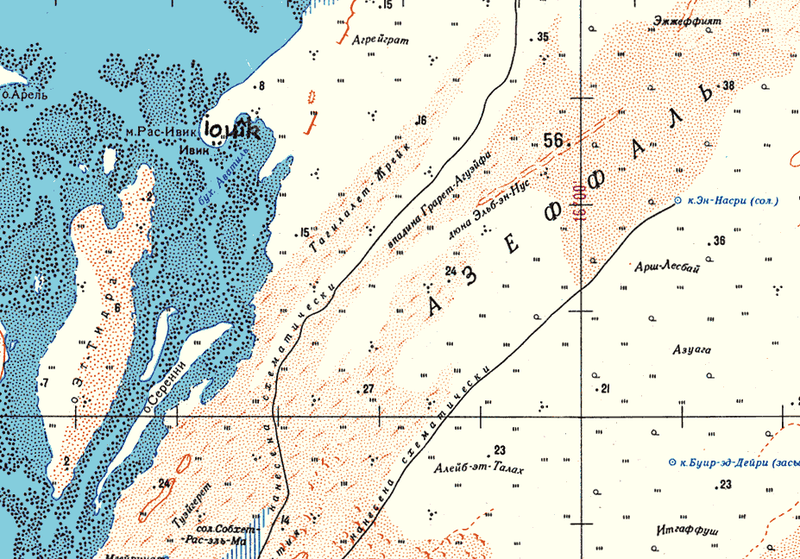 “N” stands for “nationale” and Mauritania currently has three of them, all starting from Nouakchott. 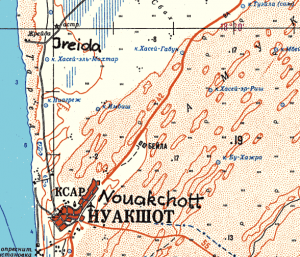 The N1 goes northeast towards the frontier with Western Sahara and Algeria, the N2 goes North towards the Dakhla crossing into Morocco via the Moroccan-controlled part of Western Sahara and south towards the border with Senegal, and the N3 goes southeast in the direction of Mali. We took the N2 for about two-and-a-half hours to cover 140 miles north, before picking up a desert track west for the last 30 miles to Iwik. The first section of the piste is not heavily used and the traces in the soft sand were not so obvious, but as we followed it further it connected with other tracks into a much more prominent trail, eventually intersecting with the major piste that would lead to Iwik. The village is within the boundaries of a 7,500 square mile national park that protects the delicate coastal ecosystem of the Banc D’Arguin. Though we are driving through flat and open desert, we were careful to stay on the pistes as we approached the invisible edge of the park. The route is not indicated on most maps, but the GPS coordinates are available from the park officials. “Off-piste” driving is prohibited in this conservation area, and would be ill-advised in any case. 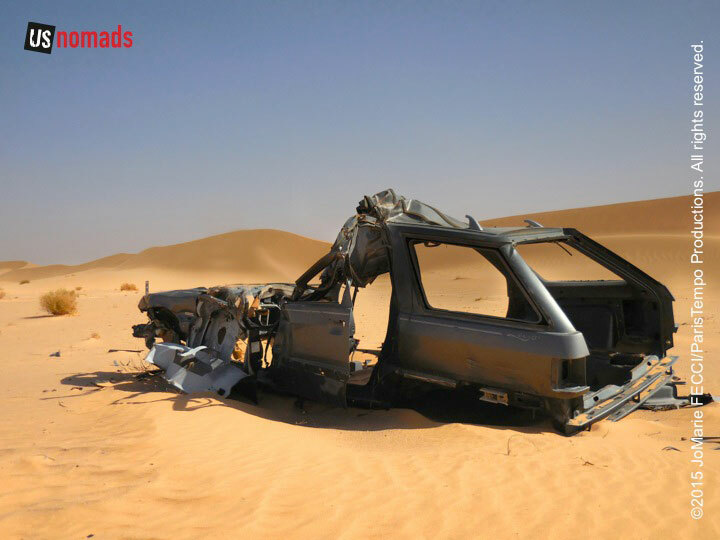 While the terrain seems easy enough, the twisted metal “skeletons” of abandoned wrecks are a sobering reminder of the potential dangers of remote desert driving. In addition to the “usual” concerns, the area around the Banc D’Arguin can be effected by tides and storm surges flooding some desert pistes. Staying on the advised route, we could comfortably keep up an average speed of around 40 kms/hour (about 30mph) on the sand, and a bit faster in some sections. At that pace we arrived to the outskirts of the village a few hundred meters from the shoreline, about an hour after we had hit the dirt. It is strange, and a little disconcerting, how the desert goes right up to the sea without any kind of transition, as if the whole Sahara was just one giant beach. The contrast between the harsh desert environment and the Atlantic seascape is unique. This combination creates an ecosystem rich in biodiversity, and in fact, the Banc d’Arguin is a major breeding site for migrating birds coming from northern Europe, Siberia and Greenland. An estimated 2.2 million waders over-winter here, according to UNESCO. This concentration of birds represents 30-70% of the entire population of the ‘East Atlantic flyway’. The region’s mild climate and absence of human disturbance makes the park one of the most important sites in the world for these species. The prevailing trade winds between Cap Blanc and Cap Timiris sculpt the coastline into sandy bays between capes of rock. It is here that the warm Guinea Current, which flows up from the south, meets the cold Canary Current that flows from the north, creating an upwelling of colder water heavy with fish food. 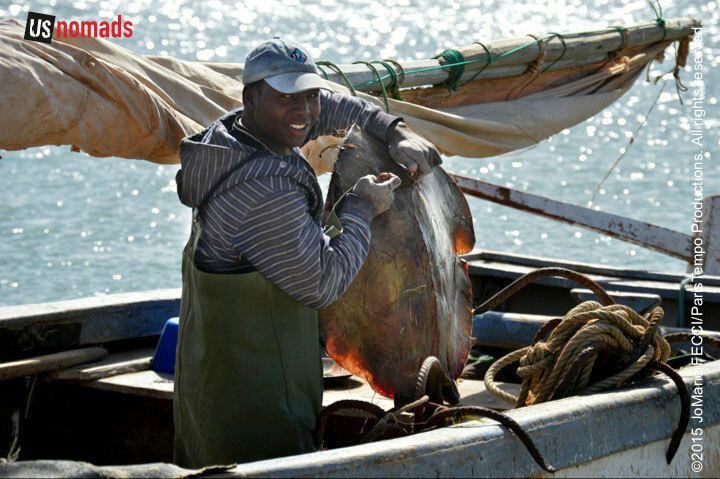 The surrounding waters are some of the richest fishing waters in western Africa and serve as nesting grounds for the fish in the entire western region. 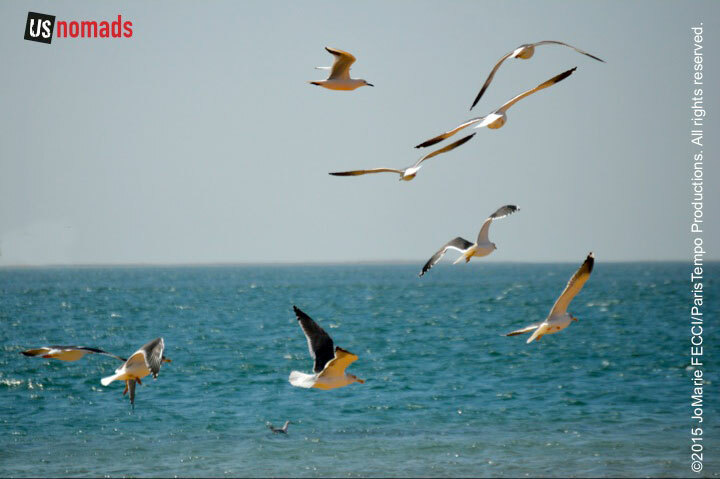 The Banc d’Arguin national park was established in 1976 as a nature reserve to protect and conserve these ecosystems, natural resources and valuable fisheries. Granted UNESCO World Heritage status in 1989, its effective management is an important concern to both local authorities and the international community. 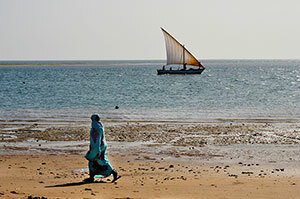 The WWF has helped the Mauritanian government to implement successive conservation management plans, and the Swiss Fondation Internationale du Banc d’Arguin is one of several international NGOs that support the park in its mission to foster harmony between the local population and natural conservation. The biggest challenge is effective surveillance and administration over so vast an area. 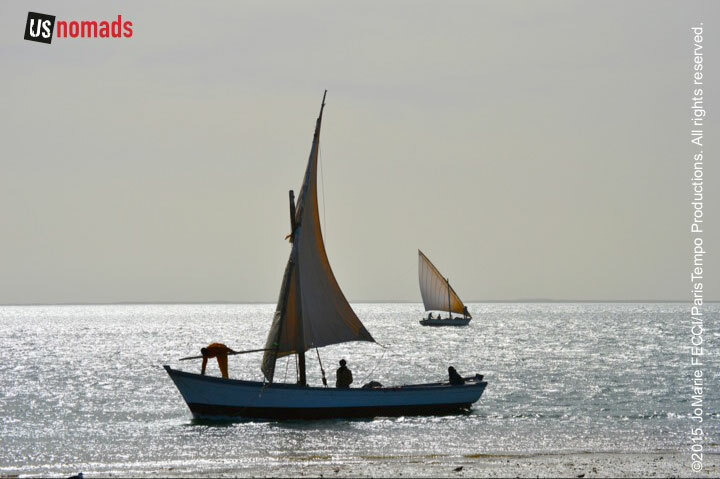 The Park occupies two thirds of the northern half of the Mauritanian coast, and the protected area includes more than just the shoreline, there are sand dunes, coastal swamps, mudflats and small islands in the bay that are actually composed of windblown sand from the desert. 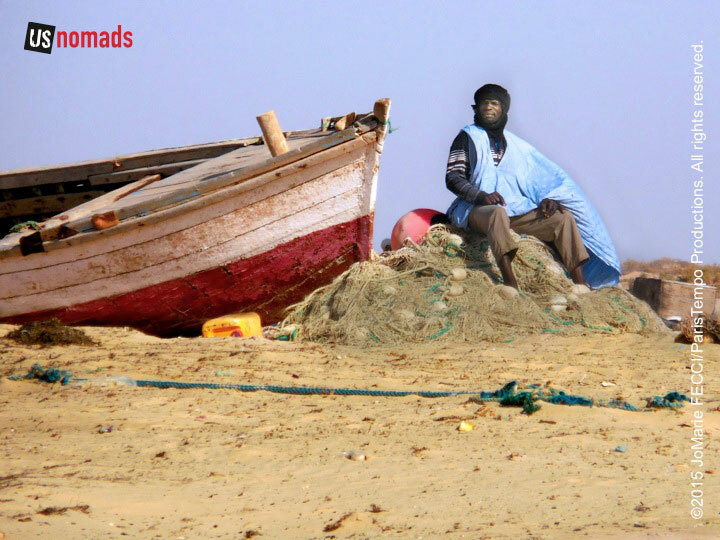 Overfishing threatens to knock this ecosystem off balance, and the Mauritanian officials do their best to control access. The United Nations Environment Programme notes that park rangers patrol the area to prevent illegal fishing and disturbance to nesting waterfowl. Permanent entry points control access into the park and are used for survey work. 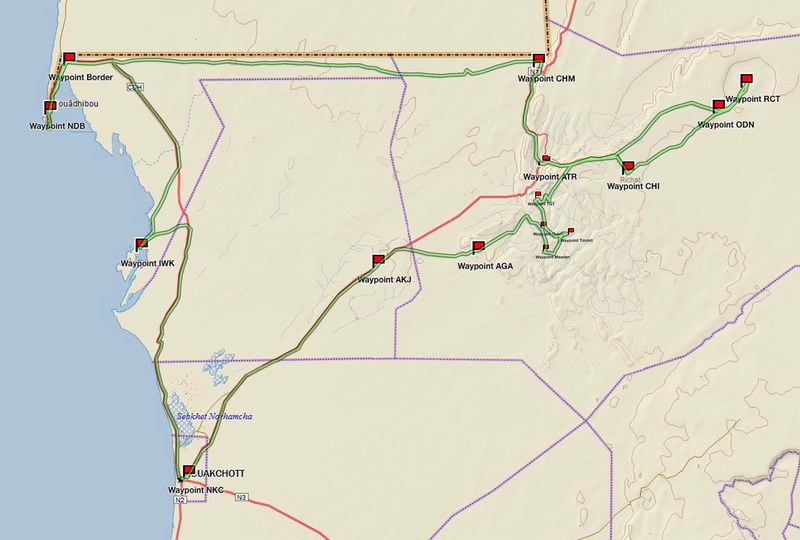 The wardens, based at Iwik, with a secondary base at Oued Chibka, undertake maritime patrols and control access to the islands and an eight man camel patrol is used to limit hunting. We stopped at the park headquarters to confirm our authorization to visit the reserve before entering the tiny village on the shoreline. Iwik is one of seven traditional fishing villages within the protected area. The residents are mostly Imraguen, a small tribe believed to descend from the Bafour people, pre-Berber inhabitants of present-day Mauritania and the Western Sahara, who relate many of their customs to the natural environment. Their name “Imraguen” means “the ones who gather life” and they are renowned for their symbiotic collaboration with wild dolphins. The men work with the dolphins to herd schools of mullet into their nets using a technique that was handed down from father to son. The small group of buildings that make up the core of the village were close together and humble. Goats roamed freely, and the beach was a collage of fishing nets, wooden boats, shells, and refuse all intermingled. A man sat calmly on top of a pile of netting watching two others tie down the sail on a boat that had just come in. The Imraguen fishermen worked in the same way their fathers and grandfathers did before them. The only people permitted to harvest the park waters, they eke out a living from subsistence fishing. Their wooden sailboats are built to designs originating from the Canary Islands, and glide gracefully on the glistening bay, the triangular sails translucent in the afternoon sun. The shore is calm and almost deserted apart from a few children picking up shells along the water’s edge. Village women use the shells with beads and pieces of cleaned and polished fish vertebrae to make necklaces or bracelets. The Imraguen world revolves around the sea. 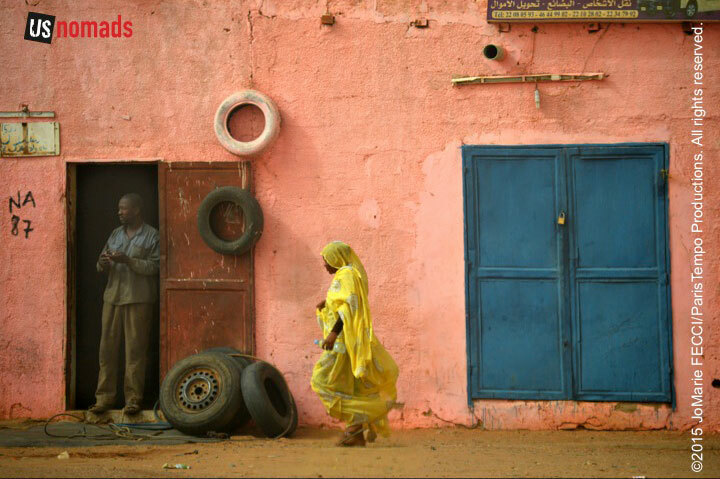 Their cultural traditions differ from the majority of Mauritanians, who are primarily of Berber origin with a desert heritage. The Imraguen are considered custodians of the Banc D’Arguin, and the authorities rely on them to work with the government and NGOs to protect the park and manage the natural resources in a sustainable way. By patrolling their own waters and reporting incursions from foreign fleets or motorised vessels, the fishermen provide a level of surveillance that the park administration would be unable to carry out alone. While policy aims to fully integrate the Imraguen, aid them in their socio-economic development and ensure maintenance of traditional customs, there have been some restrictions and conditions placed on their fishing rights, causing concern. According to AFROL News, some traditionalists among the Imraguen are suspicious of change and opposed to fishing restrictions at all. Others place the priority on getting more development assistance as compensation for accepting restrictions. Some international NGOs have been active, working to help improve the economic conditions for the Imraguen, with innovative projects in cooperation with local cooperatives like the Imraguen Women’s Mullet Bottarga project supported by The Slow Food Foundation for Biodiversity. 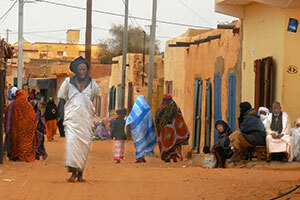 But for now the Imraguen villages remain among the poorest in Mauritania. 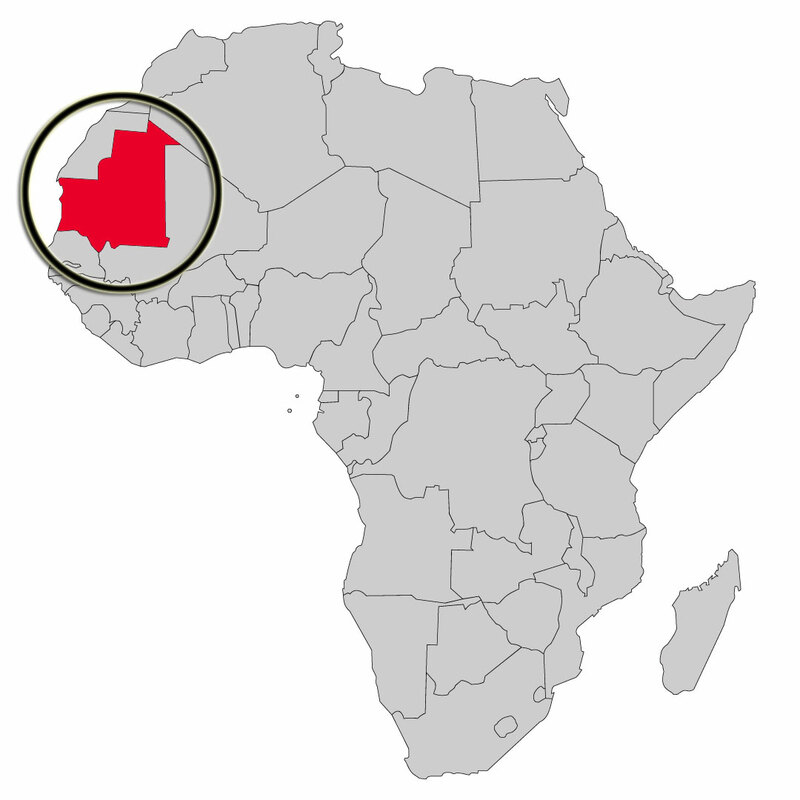 The Islamic Republic of Mauritania is the eleventh largest country in Africa. Although the country is mostly desert (90% of the land is within the Sahara), it has 468 miles of Atlantic coastline. It is roughly three times the size of New Mexico. Most of the population is concentrated in the coastal cities of Nouakchott and Nouadhibou and along the Senegal river in the southern part of the country. The nation shares borders with Moroccan-controlled Western Sahara, Algeria, Mali, and Senegal. The official language is Arabic, though the regional dialect is Hassaniya, and many people also speak French (Mauritania gained independence from France in 1960). Starting from the capital city of Nouakchott, we top off supplies before leaving in the morning. The day’s drive of roughly 170 miles should not be difficult, as it begins on the tar road headed north before turning west across the sandy desert pistes. The desert terrain here is easy, with flat sandy open desert most of the way. The pistes are well-defined approaching Iwik where we will camp for the night on the coast. The city and its near environs are mostly flat and sandy, with the desert going right up to the Atlantic coast. The coastline includes shifting sandbanks and sandy beaches and there are areas of quicksand close to the harbor. To the east encroaching sand dunes threaten to swallow the edge of town. The village is located on the shore of a peninsula in the Banc D’Arguin. 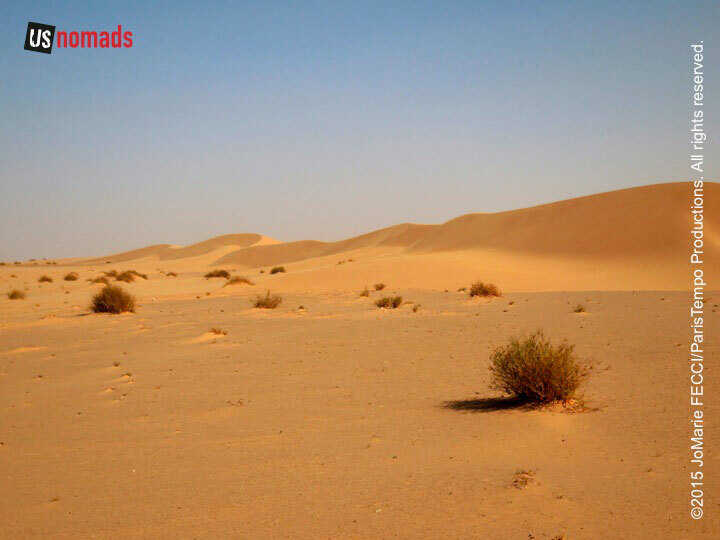 The surrounding area is primarily flat and includes sandy beach, mudflats, and sandy desert. Only one seventh of the roads are paved. the rest are sand tracks. 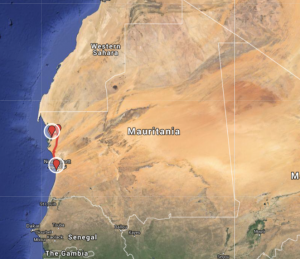 According to the U.S. State Department’s road conditions report, Mauritania has about 2,684 miles (4,320 km) of surfaced roads, 661 miles (1,064 km) of unsurfaced roads, and 1,797 miles (2,899 km) of unimproved tracks (data as of July 24 2014) — the rest is open desert. 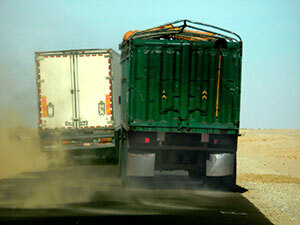 Serious hazards on the tar roads can be caused by drifting sand and roaming animals. Traffic patterns differ considerably from those in the U.S. and locals often drive without regard to traffic signs, speed limits or rules. 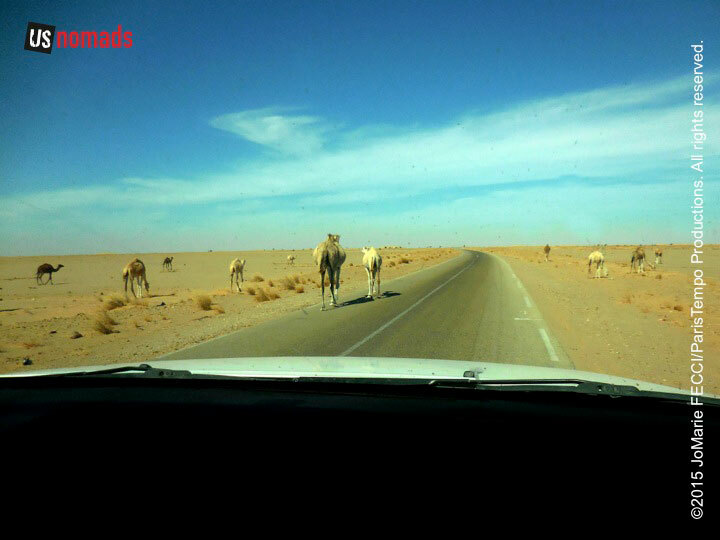 In Mauritania there are frequent checkpoints on paved roads and on some pistes. These checkpoints should be respected, even if they appear to be unmanned. Drivers should stop, sound their horn, and pause for an adequate amount of time before proceeding through the checkpoint to avoid any type of confrontation. It is best to drive cautiously and be prepared to stop at short notice. Security forces may also conduct roadblocks where they can ask for proof of identity and driver’s licenses. You should be prepared for such inquiries by carrying identification at all times. Typically it is enough to hand over your “fiche,” though the security forces may ask to see your identification or inspect the contents of your vehicle. Be cooperative and polite. Do not attempt to take photographs or film. 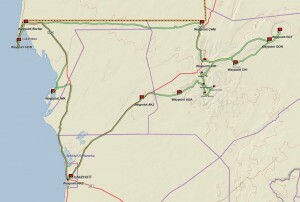 Usually the checkpoints are at the entrance and/or exit of inhabited areas. Frequently there will not be anyone standing outside, just a small round red sign on the side of the road about 20 or 50 meters before the guard shack. Stop at the sign and wait to be waved forward. Proceed slowly and stop to hand your fiche to the gendarme, then wait for him to signal you to move ahead. 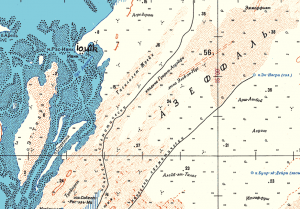 Terrain: In the western portion of the Saharan Zone, extending toward Nouakchott, rows of sand dunes are aligned from northeast to southwest in ridges from two to twenty kilometers wide. Between these ridges are depressions filled with limestone and clayey sand capable of supporting vegetation after a rain. Dunes in the far north shift with the wind more than those in the south. The regions of Tiris Zemmour, Adrar and Hodh ech Chargui are vast empty stretches of dunes alternating with granite outcroppings. After a rain, or in the presence of a well, these outcroppings may support vegetation. The plateaus of Adrar and Tagant, where springs and wells provide water for pasturage and some agriculture, can be lush. Weather: Temperature fluctuation during the day can be extreme. In December and January, temperatures go from morning lows of 32°F/0°C to afternoon highs of 100°F/38°C. In the hottest summer months highs typically reach 120°F/49°C. 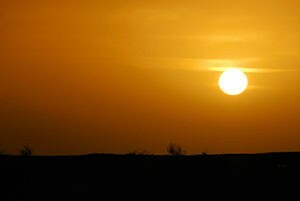 Throughout the year, the harmattan (a dry, dusty easterly or northeasterly wind on the West African coast) often causes blinding sandstorms. Rain typically falls during the “hivernage” (July to September) when isolated storms drop large amounts of water in short periods of time. However, a year, or even several years, may pass without any rain in some locations. Vegetation: In mountainous areas with a water source there are small-leafed and spiny plants and scrub grasses suitable for camels. Dunes sprout sparse vegetation after a rain (the seeds of desert plants can remain dormant for many years). In depressions between dunes, where the water is nearer the surface, some flora–including acacias, soapberry trees, capers, and swallowwort–may be found. Saline areas have a different kind of vegetation, mainly chenopods, which are adapted to high salt concentrations in the soil. 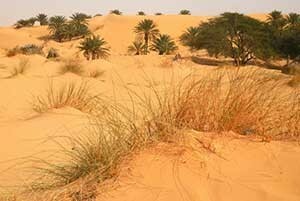 Cultivation is limited to oases, where date palms are used to shade other crops from the sun. Our journey was made in a locally-sourced diesel powered 2010 Toyota HiLux with Dunlop Sand Grip tires. 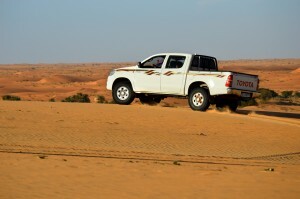 The HiLux is one of the most common trucks seen on the pistes in Mauritania and is relied on by drivers here. Though not available in the U.S. market, over 13 million Toyota Hilux have blazed trails around the world since 1968. From the Arctic to the Sahara, this unstoppable pick up has earned trust and admiration for its off-road capabilities and endurance. Mauritania’s coastal zone consists of roughly 469 miles along the long Atlantic. Prevailing oceanic trade winds from the Canary Islands modify the influence of the dry dusty wind known as the “harmattan” and temperatures are moderate. Battering surf and shifting sand banks characterize the entire length of the shoreline. Much of the coastal zone is encompassed within the Banc D’Arguin national park, which extends from Cap Timiris in the south, includes the Ile de Tidra, Ile d’Arguin and Cap d’Arguin to Pointe Minou in the north. 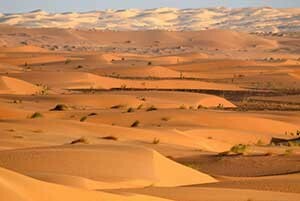 The park’s boundary extends a maximum of 60km into the shallow sea and inland by 35km into the Sahara desert. 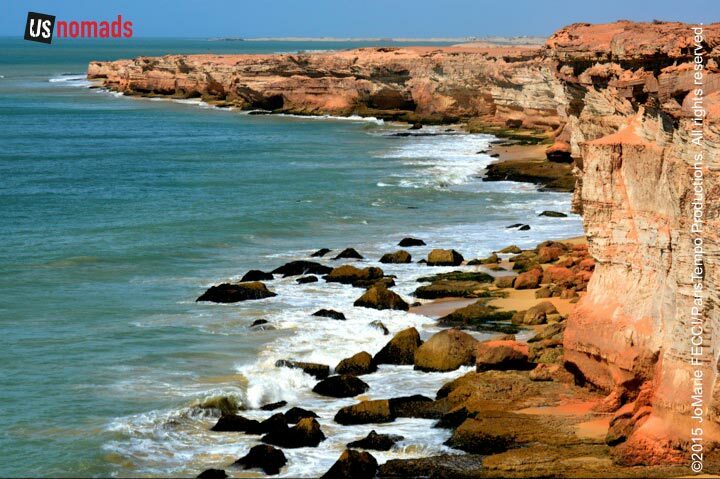 The contrast between the harsh desert environment and the biodiversity of the marine zone has resulted in a land- and seascape of outstanding natural significance. The protected conservation area is considered unsuitable for large-scale tourism, there are no hotels or restaurants, and drinking water is not available. Visitors can obtain authorization to enter the park on an individual basis from the park administration. NOTE: This is the second in a series of segments highlighting details of our Mauritanian scouting misson. Each segment will focus on a specific location or region. All text and photos are copyright JoMarie Fecci/USnomads unless otherwise noted. If you would like to use any imagery here, please contact us for permission. 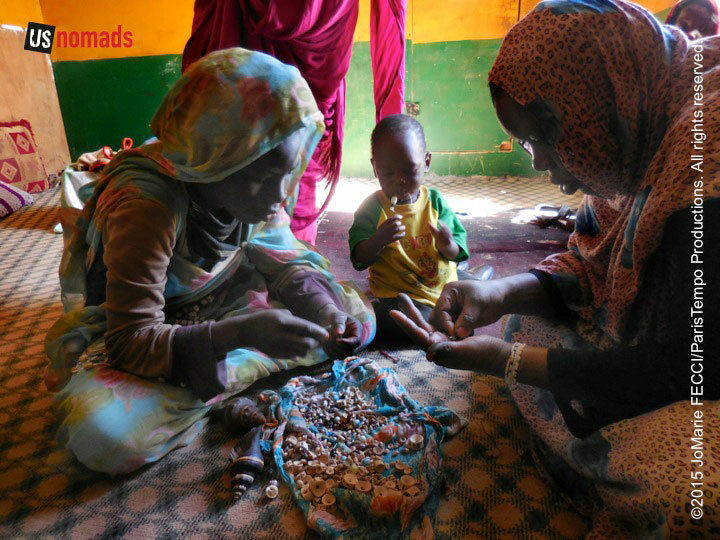 The trip was conducted in January 2015 by JoMarie Fecci of US Nomads supported by a local Mauritanian crew. For more information about the team or the specifics contact us.